Using your through body porcelain field tile, American Bullnose Company manufactures bullnose tile. 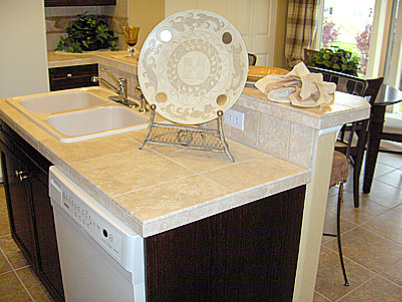 By engaging different polishing wheels, we are able to obtain the same finish to the bullnose edge as the field tile. Below are the benefits of using American Bullnose Company. Because we create bullnose from your field tile, there are never dye lot differences. Because we create bullnose from your field tile, every tile manufactured is available with bullnose. We can customize bullnose for any size specifications. Because we create bullnose from your field tile, there is never a back order situation. Each bullnosed edge is texture matched to your field tile. Our process allows us to produce small or large orders with the same efficiency. Our prices are comparable or less than other manufacturer's of through body porcelain bullnose.